Do you have a young child you suspect has the midi-chlorians to be a Jedi Knight? If so, then enroll them for training with a cast of Jedi. A couple dozen candidates (children 4-12) are put through the paces of Jedi training during this 25-minute show. Of course, things don't go smoothly, and when the training is interrupted by Kylo Ren and Darth Vader, the students have to do their part to send them packing. Location: At the Tomorrowland Terrace stage. Capacity: Perhaps a couple hundred people in the Tomorrowland Terrace seating and viewing area. About 25 children will be brought in to participate. # of Shows: Generally six time daily. Wait Times: For the best seats you'll want to show up 15-20 minutes before show time though since the area is comingled with diners at Tomorrowland Terrace, nothing can be guaranteed. FastPass: No, but pre-registration is required to participate. Children must pre-register for a chance to participate in the show. Pre-registration begins at park opening, at a kiosk at the exit of the Star Wars Launch Bay in Tomorrowland. Children must be age 4-12, and must be present to register. Cast members will chat with each child to determine whether they can pay attention and follow directions independently, as will be required to participate. Once selected, children are given a time and place to return to participate in the show. Ride Access: All viewing areas are wheelchair and ECV accessible though once crowded with people movement can be pretty difficult for anybody and will require navigating around not just people but tables and chairs as well. Audio: Assistive listening devices are available from City Hall. Other Issues: Children must pre-register for a chance to participate in the show. Pre-registration begins at park opening, at a kiosk at the exit of the Star Wars Launch Bay in Tomorrowland. Children must be age 4-12, and must be present to register. 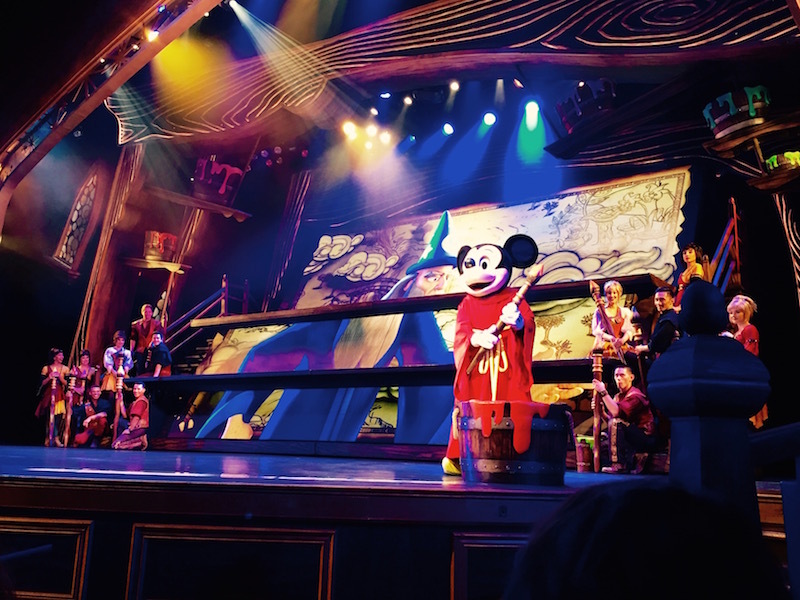 Cast members will chat with each child to determine whether they can pay attention and follow directions independently, as will be required to participate. Once selected, children are given a time and place to return to participate in the show.